The MESTC Publication Wing produces both journals and individual volumes. 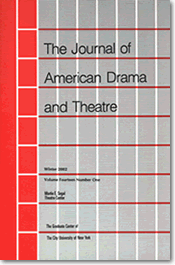 Journals include Arab Stages (AS), European Stages (ES), and The Journal of American Drama and Theatre (JADT). Thanks to a digital initiative, both JADT, ES, and AS became available in a free digital format in 2014. 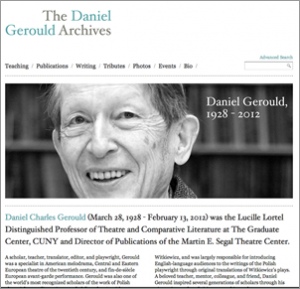 The Center also continues to play a key role in remedying the dearth of English-language translations of international plays through collaborations with the PEN American Center and our exclusive distributor, Theatre Communications Group (TCG), which together ensure the publication and distribution of our international publications. Click here for information on how to order books and back orders of journals.